We manufacture and export Promotional Advertisement Desk. 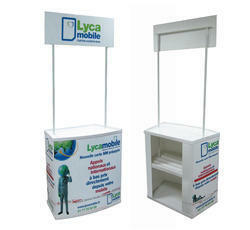 These Advertisement Desks are of high quality with perfect prints and finish. These are multi-utility desks which are quite durable and easy to handly and transport. It can also be customised according to the client's requirement. We are a leading supplier offering a wide range of Promotional Desk. Being one of the trusted names in this field, we manufacture an exclusive range of Promotion Desk which has been tested for its high-end functionality. These calendars are well-known for their high quality standards, perfect finish and fine prints. 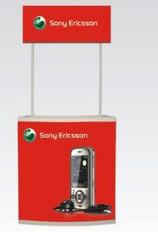 Promotional Booth are designed and offered by us to our clients as per their requirements. These tables are very advantageous to any trade fair booth, presentation and product display. Also, these are sturdily constructed and offer plenty of space for holding flyers and brochures. 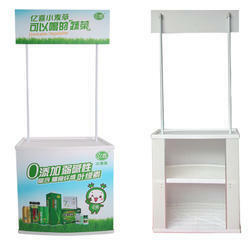 Brochure Stand is used for putting leaflets, Catalogues. 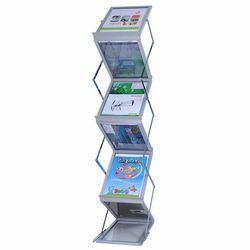 These Catalogue Stands has 7 acrylic shelves for displaying different or many layers of leaflets. This is a folding & a portable unit. It comes packed in a small bag. Looking for Promotional Booths & Displays ?